Happy Heart Day, Nolan! | Half Heart. Whole Life. ← Cause for Celebration: The Twins Turn Two! 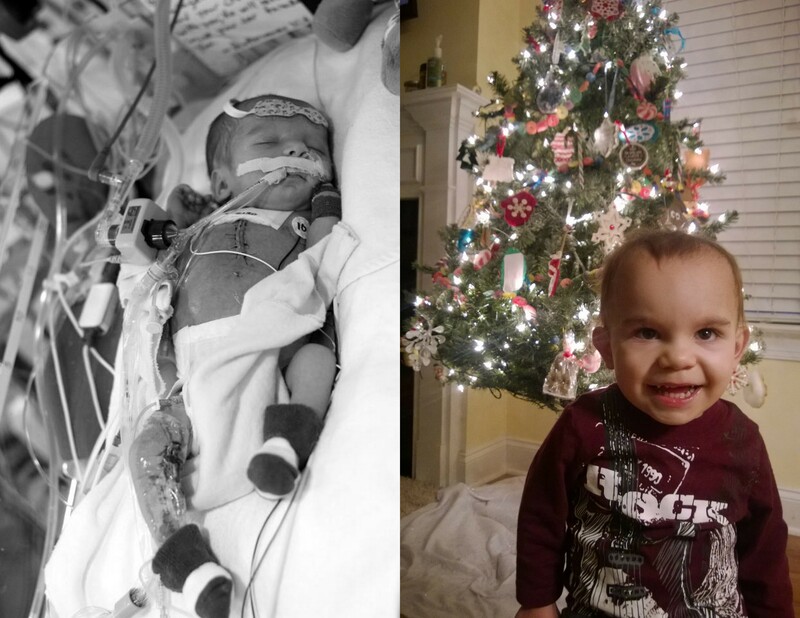 On this day two years ago, Nolan went in for his first major surgery – the Norwood Procedure. I remember the absolute terror I was in the day before and every hour the day of as we received updates in the surgical waiting room. I remember seeing my little boy hooked up to all those machines and the nurses moving constantly to check him and give him meds. It was surreal. Looking back on it, it’s still pretty surreal. His recovery was long and hard, with lots of ups and downs…and he fought like a champ. There’s a whole lotta fight in that boy…he’s my hero! I’m so glad to be able to share Nolan’s story on this blog…I’m a big believer that sharing our stories not only helps others but helps us continually heal. I encourage you, Heart Parents, to share your story however you can. Some of you will blog, some of you are on Facebook, some of you are part of awareness groups. Some of you are uncomfortable sharing, and that’s ok…maybe get a notebook and just write it down. You don’t have to share it with someone but yourself, and it will feel better to get it down on paper. What a journey this has been and will continue to be…I can’t wait to continue on this adventure with you, big guy. Happy heart day!!! Posted on December 17, 2014, in family, thankfulness and tagged CHD, congenital heart defect, Heart Day, HLHS, hypoplastic left heart syndrome, Norwood Procedure. Bookmark the permalink. 2 Comments. Good luck, and many happy, healthy days ahead to you and yours!